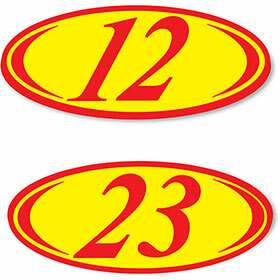 Red & Yellow 7½" Peel & Stick Numbers can be used to complement the color of your vehicles. The eye-catching peel & stick numbers have adhesive on the backside that adhere to the glass. 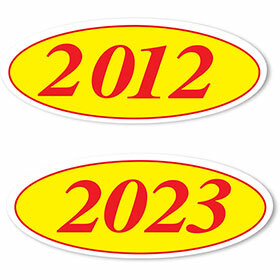 Red & Yellow 7½" Peel & Stick Numbers are made of a waterproof vinyl that can be easily removed when necessary. 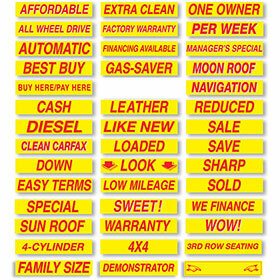 Windshield numbers are available in lots of a dozen. 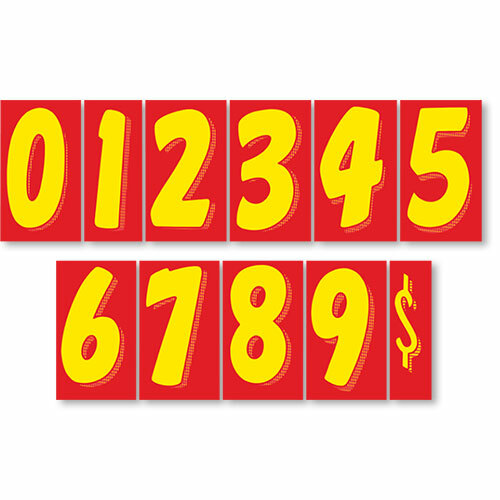 Red & Yellow Peel & Stick Numbers measure 7½"H x 4¼"W. Save money with a kit of 14 dozen, which includes one dozen each of numbers 0, 1, 2, 3, 4, 6, 7, 8 and two dozen each of 5, 9, and $. Kit is sold separately as 1301505.